Sometimes flowers just aren't enough! A cupcake bouquet is the stylish alternative to the traditional bunch of flowers , particularly if the recipient loves flowers and cake. 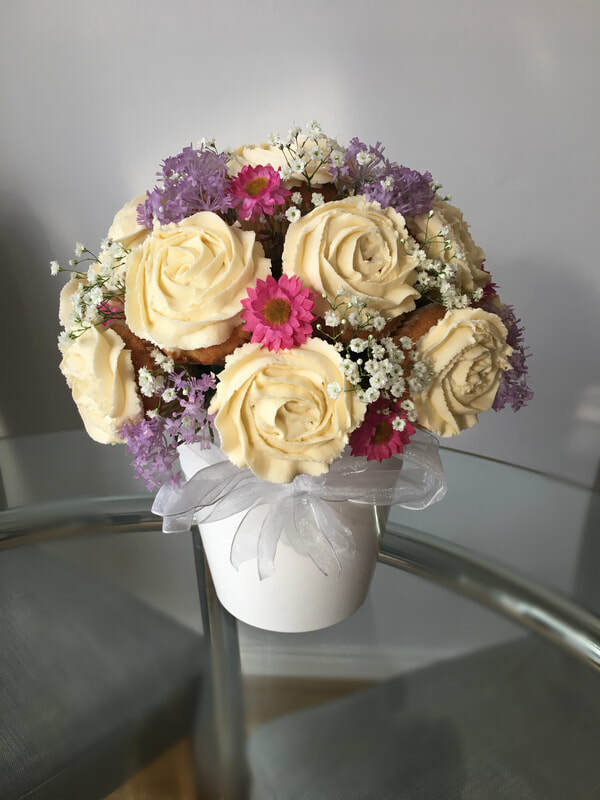 Our delicious cupcake bouquets are the perfect gift for any occasion, whether it be a birthday, anniversary, baby shower or new baby, Valentine's Day, Mother's Day, Christmas or even just to say thanks to that special friend. They also make great centre pieces at wedding parties and other celebratory events or as bespoke gifts for mothers and grannies of the bride and groom. Be the first to surprise your loved one with a cupcake bouquet from our range of stunning edible floral arrangements.